Looking to buy the best eyebrow trimmers around? In this guide, we share the best product you can buy. There are solid options across a variety of price ranges we would like to share with you. It takes time to research the best eyebrow trimmers and we have done the legwork for you to save you the hassle. Waterproof eyebrow trimmer with attachments. Trimmer good for eyebrows, nose, and ears. Great brand trimmer with a good warranty. We have sorted our selection of eyebrow trimmers by price range. This allows you to pick a model that is in your budget. You can find a decent eyebrow trimmer for around $10. Higher priced versions have longer warranties and more accessories. Some have more powerful blades that require less maintenance. This category is ideal for the budget buyer that’s looking to save money on an eyebrow trimmer. Here you will find eyebrow trimmers capable of getting the job done well. There might be a few features missing that are found in pricier models, but at the budget price, the value here is excellent. The eyebrow trimmers here are great choices if you’re looking for something that can be a backup trimmer when traveling. They are light and portable making them the perfect travel companion. In this guide, we have sourced the best budget eyebrow trimmers so that you don’t have to worry about the research yourself. 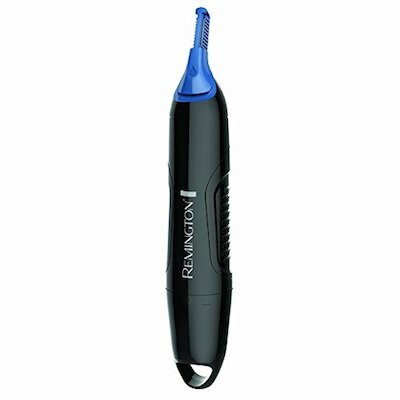 The Remington NE3250 is an excellent choice for a budget and multifunctional eyebrow trimmer. At only around $10, it is one of the cheaper models in the marketplace that can get the job done well. Remington is an established brand in the hair products industry and you can rely on their craftsmanship. Included is a washout system that flushes out the hair from the blades during the trimming process. 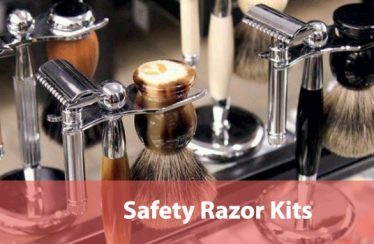 This ensures the blades do not become clogged due to an excessive amount of hair building up on the blades. 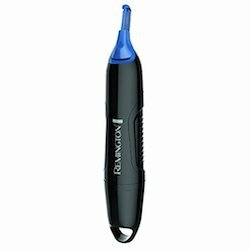 A Rayovac battery is included in the package, which means there is no need to buy disposable batteries right away in order to run this eyebrow trimmer. This setup is more convenient and will avoid the cost of having to regularly buy batteries. There are 3 attachments that come with the Remington NE3250. This includes a clear plastic eyebrow comb, which can be used to shave eyebrows and other parts of your face. Also, nose and ear cones are included so that you can conveniently trim the hair in those regions. The ergonomic design of these attachments means the trimming process is straightforward – even for beginners of such products. Another useful aspect of this product is that it can be used in dry conditions and wet ones equally well. Therefore, if you want to complete trimming jobs in the shower then you can do so. This Remington eyebrow trimmer is designed to be waterproof, which means you don’t have to worry about it getting wet. To conclude, the Remington NE3250 is an excellent eyebrow trimmer at around $10. The low price means it is affordable to anyone and is ideal if you’ve never owned a product like this before. The combination of the 3 attachments, low price, and wet use mean you’re getting a great deal here. The Xpreen Hair Trimmer is a great budget product that only costs around $9. 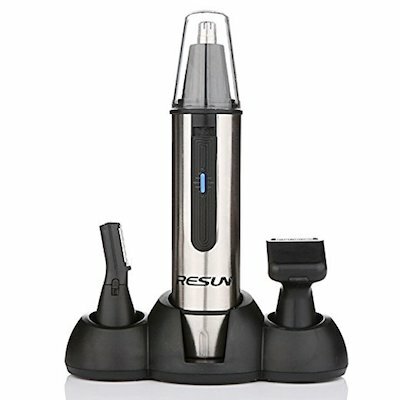 When you need a hair trimming solution that gets the job done consistently the Xpreen Hair Trimmer can be relied upon. The black cylindrical design is convenient and lightweight. The high-speed motor operates at 10,000 RPM, and that allows each hair to be captured. The stainless steel design of the blades means the cut is going to be great with every stroke. Also, the design removes any chance of the skin getting irritated. The design is primarily for the nose, but it is multi-purpose. Therefore, you can use it for other parts of your body like the eyebrows and ears. 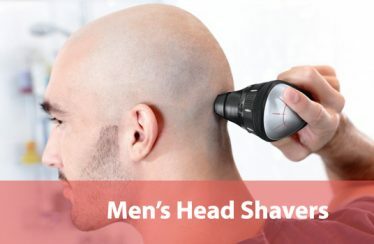 For the budget price, you’re getting a great deal because there is no need to buy additional clippers to complete trimming jobs. The 360-degree rotating blades mean you have the freedom to execute on various trimming jobs. The design is partially waterproof, which means you can put the tip of the device in the water. However, you are not allowed to submerge the entire unit in the water as that would cause damage to the electronics. You will need to use one AA battery in order to operate the device. It helps if you’re able to use a rechargeable battery so that you do not need to constantly buy new disposable ones. You will need to buy this separately. To conclude, the Xpreen Hair Trimmer is an excellent buy for the budget customer. The versatile design means you can use the trimmer to groom different parts of your body. 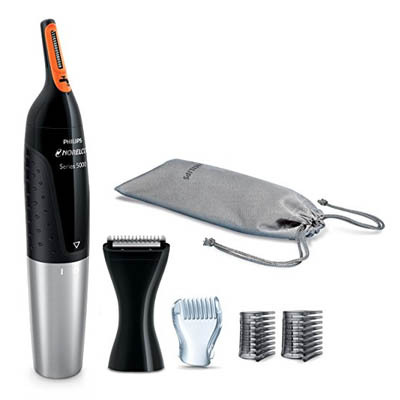 Also, the low price means you can use it as your first trimmer to see how these products work. If you enjoy the grooming process then perhaps in the future you can invest in a pricier model. One of the cheapest eyebrow trimmers on the market that is suitable for the nose and ears is the Remington MPT3600. At around $7, this product provides value and even comes with some batteries so that you can get going right away. The blade is double-sided, which means the job gets done faster. Also, the trimmer is able to cut hair in tight spots because of the accuracy. You can rely on this trimmer to get the job done where other products might have failed in the past. The pivoting head allows you to get the right angle every single time. Grooming your own ears, nose, and eyebrows can be awkward and the pivoting head of this unit makes the job more straightforward. A protective cap is included so that it can be conveniently stored away without getting dirty or becoming damaged. Hygiene is an important aspect of grooming and this cap helps you maintain hygiene easier. This product is great for individuals that want to be proactive about their grooming. This allows you to experiment with different styles without the need to visit a barber every single time. Also, the budget price of this product means you can dabble in grooming without spending a lot of money. The eyebrow trimming comb that comes with the Remington MPT3600 means you can trim your eyebrows at different lengths. You’ll have the flexibility to get the look that you might have been looking for. To conclude, the combination of the low price and a bunch of ergonomic features means you’re getting solid product here. The power of the motor might not be as good as a higher priced product, but it gets the job done. Also, a AAA battery is included, which means you can start trimming from day 1 without worrying about power. To get a blend of value and performance the best eyebrow trimmers under $20 category is an excellent choice. Here you will find some great options for those that want to spend a bit more than the budget category to get a decent product. In this category, you will notice the waterproof characteristics and versatility of the product is improved. If you have experience with multiple eyebrow trimmers in the budget category, then you’ll be pleased with the extra performance provided here. Another budget eyebrow trimmer at just over $10 that’s worth investing in is the Wahl 5545-400. It’s a 3 in 1 product, which means it can handle trimming jobs for eyebrows, nose, and ears. Wahl is known for the quality of their hair products, and this won’t let you down either. The unit comes with 3 heads that can be used for various trimming jobs. They are easy to switch around so you can easily complete all grooming jobs in a short period of time. All blades are hygienic and can easily be washed using water. 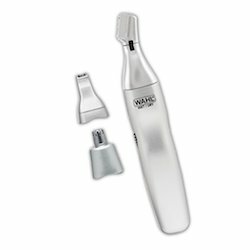 Therefore, the maintenance of this Wahl eyebrow trimmer is a straightforward process. You can use the Wahl 5545-400 to perform trimming jobs in the dry or wet environment. For instance, if you are taking a shower and want to complete trimming jobs, then it is possible with this product. It adds to the convenience of the product that means the cost to value ratio is excellent here. The design of the body is light and compact, which means it can easily fit in your traveler’s bag. You can take it on the go during a vacation, or while traveling around the world. Also, the build is solid for a budget product, so expect it to last for a long time to come. The device is powered by a single AA battery, and that will give you up to 90 minutes of running time. As a result, expect to buy new batteries frequently. Alternatively, it would be a great idea to invest in rechargeable AA batteries. To summarize, the Wahl 5545-400 is a great buy at only around $10. The mix of the 3 solid attachments, a wet/dry design, and solid construction mean you’re getting great value. The powerful performance of the lightweight using is great when you need to complete trimming jobs for your nose, eyebrows, or ears. 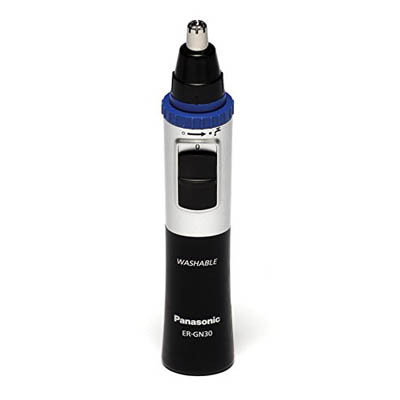 Panasonic is one of the more established electronics companies out there, and the Panasonic ER-GN30 is ideal for completing a number of grooming jobs. This includes the eyebrows, nose, ears, sideburns, and beard. The design is lightweight and you can take it with you on the go. 1 AA battery is required in order to power the device, and that gives you 90 minutes of running time. It’s a great idea to opt for a rechargeable battery so that you do not have to buy disposable batteries regularly. You can use the Panasonic ER-GN30 wet, which means you don’t have to worry about using it in the shower. Also, the blades are easily washed and that means maintenance is not going to be a problem. Ideally, the water should be warm so that the blades can be washed effectively. The Vortex system allows for efficient cleaning because once the head is removed water can enter the body and leave via an exit hole. This is one of the easier maintenance tasks you’ll need to complete for any device in the home. 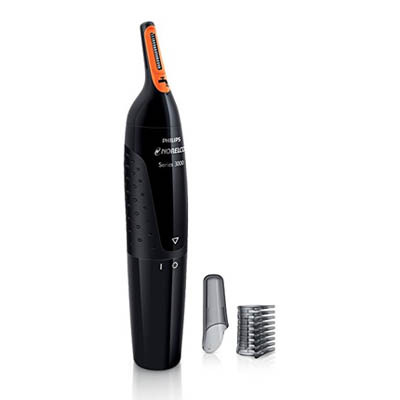 The dual edge design of the trimmer means it is effective at attacking a number of hairs at the same time. 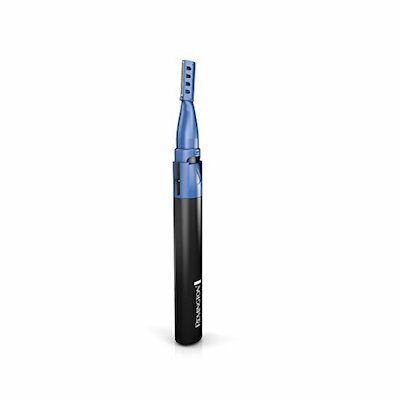 Panasonic has made this product easy to use for anyone – even if you’ve never used eyebrow trimmers before. To conclude, the Panasonic ER-GN30 provides excellent value for the price of around $12. You get to groom a variety of body locations and the washable aspect means maintenance will not be a problem. Finally, the power is reliable and will continue to work for a long time to come. Are you looking for a competitively priced Remington eyebrow trimmer that delivers reliable performance? Then the Remington MPT3700 might be a suitable purchase for your needs. At around $10 it is an affordable buy and can complete your trimming jobs effectively. The Wetech technology means this trimmer can be used while having a shower. This can be highly convenient for some that like to perform a number of grooming activities while taking a shower. Furthermore, the washout system means the hairs are washed away inside and out. You will not need to constantly stop trimming in order to remove the hairs. This is a somewhat annoying aspect of shaving a beard with a traditional shaver. A dry cap is also included in the package, which means you can store it away hygienically. However, this cap has ventilation holes, so you can store it away immediately after use and not worry about it drying out. An eyebrow trimming comb is included that allows you to get the right look for your eyebrows. It’s great for those who are buying the Remington MPT3700 for the eyebrows trimming aspect. As with a few other Remington models, this one has a pivoting head that allows the right angle to be achieved. During personal grooming achieving the right trim in a few hard to reach places can be frustrating. However, with the pivoting head, this process is easier to handle. 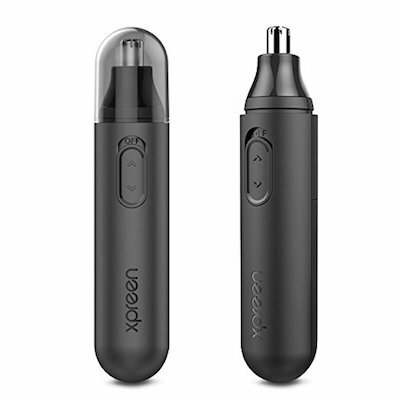 To conclude, the combination of the Wetech features, ventilated cap, competitive price, eyebrow comb, and washout system means you’re getting a well-designed product. The Remington MPT3700 is a simple yet effective eyebrow trimmer that gets the job done. Even if you’ve never used eyebrow trimmers in the past you’ll find this one easy to handle. The Philips 5100 is a precision trimmer for eyebrows, the nose, and ears. The package includes a soft storage pouch, attachments, and guide combs to give you flexibility. At the price of around $15, you’re getting an excellent deal that is what can be expected from a top brand like Philips. 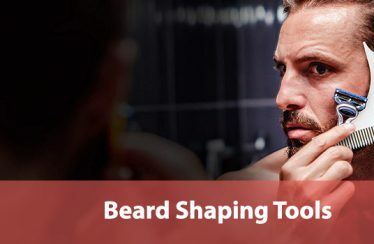 The advantage of this eyebrow trimmer is that there are attachments for the beard, sideburns, and neck area. Since this product is versatile you will not need to buy more expensive clippers to execute the jobs that this product can. The Dual Cut technology of the blades ensures this eyebrow trimmer is sharp and will continue to be a long time after purchase. Also, the design is skin friendly, which means you do not have to worry about pressing down too hard on the skin. Furthermore, the soft pouch is great for storing the accessories in an organized fashion. This reduces the chances of losing any attachment or guide comb. It also helps keep your bathroom tidy. The body appears to be solid and well-made, which means you can expect longevity from this Philips eyebrow trimmer. The product guarantees that no pulling of the hair will take place. This reduces the pain aspect of trimming, and also redness will be reduced after trimming. Therefore, this is in particular great for eyebrow trimming. To summarize, the Philips 5100 eyebrow trimmer is great as a comprehensive tool for trimming. At only around $15 you’re getting a lot of value that can tackle a variety of different areas. The mix of accessories and a soft pouch bag adds to the value of this product. Finally, the solid build means you’re going to get multiple years of use. The following category is the one you should pay attention to for the best eyebrow trimmers on the market. The eyebrow trimmers here have some excellent features, and the power of the motor is what set these products apart. Furthermore, using the eyebrow trimmers in this category you’ll be able to get a very precise trim. If you value attention to detail above all else, then buy one of the best eyebrow trimmers under $40. For a higher priced Philips eyebrow trimmer that gets the job done every single time, the Philips Norelco 3100 is a great choice. It comes with a couple of attachments and the technology here is what sets it apart from other models. One of the design features ensures this model allows for accurate trimming of the tight spaces. The 3mm eyebrow comb means eyebrow trimming will be uniform. This is typically a missed feature in other eyebrow trimmers. The unit is simple to clean as you can run the blades under some water. The protective cap ensures the body of the unit will not intake water into the electronics. Also, the Philips eyebrow trimmer is designed to never need oiling. This is convenient and will allow you to avoid a maintenance job that most don’t want to do. You’ll need to buy AA batteries to run this unit, and a two-year warranty is included. Ideally, this should be 5 years, but since this is a relatively inexperienced product you should be too worried. The water-resistant aspect of this design means the longevity will be great. The design also guarantees that no hair pulling will take place. This avoids the pain that can be accompanied by cheaper models. Furthermore, the tip prevents irritation to the skin. This is another user-friendly feature that makes the Philips Norelco 3100 a more attractive product. To conclude, the Philips Norelco 3100 is a great product because of the user-friendly features and powerful motor. Also, the ability to trim tight spaces with great accuracy means ease of use will be superb. Just keep in mind that this eyebrow trimmer has a lack of accessories and the price is slightly higher. For buyers that are interested in a good quality 3 in 1 nose/eyebrows/sideburns trimmer, this product from HLYOON is a great choice. You’ll notice that it has a stainless steel design that’s sturdy and going to stand the test of time. The design is rust-proof and will not corrode easily. 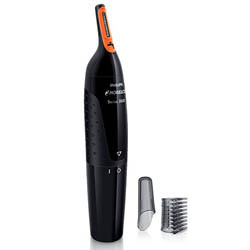 One of the highlights of this trimmer is the waterproof design that’s great for the longevity of the HLYOON trimmer. It ensures there is little chance of the circuitry getting fried as a result of water damage. Furthermore, it means you can execute trimming jobs in the shower. Do you find yourself having trouble trying to see all the hair accurately? Then you’ll be pleased with the LED light that’s part of the setup. This allows you to get a more accurate trim if the lighting in your environment is poor. There are 3 interchangeable heads and they each allow you to execute a different function. This includes being able to trim the eyebrows, sideburns, and nose. Each head can be changed over quickly without delay. Additionally, the design is ergonomic and safe, which means pulling of the hair is not going to happen. A safety cone is included where the hair is guided into the blades. Don’t worry about accidents and painful incidents. A premium storage pouch is included that can be used to take the HLYOON eyebrow trimmer on the go. Also, the lightweight design of the product allows you to use it conveniently. Another convenient aspect is the fact that you can use this when dry. There is no need to have a shower or wet the target area before trimming. To conclude, the HLYOON eyebrow trimmer is a comprehensive package that provides a positive experience for the user. The blend of the waterproof design, safety features, and LED light means you’re getting a competitive product. For the price, you’ll struggle to find a better trimmer out there. To ensure that you end up with the best eyebrow trimmers for your needs, you should first understand the buying considerations to make. In this guide, you’ll learn the top buying tips, so that you can make an informed decision. Even if you have bought many of the top eyebrow trimmers in the past, consider brushing up on your knowledge here. In the following section, we will give you a few reasons why you might want to buy eyebrow trimmers, or what type of people could benefit from them. Individuals that have never bought eyebrow trimmers before may want to learn more about the target market for these. Who should buy eyebrow trimmers? Individuals that work in the beauty and hair industry could benefit by having the best eyebrow trimmers. In order to meet the demands of the client, you may need a premium design that’s packed full of high-quality features. This includes a long battery life, sturdy design, sharp blades, and ergonomic design. Furthermore, it’s a smart idea to associate your establishment with some of the top brands in the industry. Therefore, you should aim to buy eyebrow trimmers from brands like Wahl, Panasonic, and Philips. 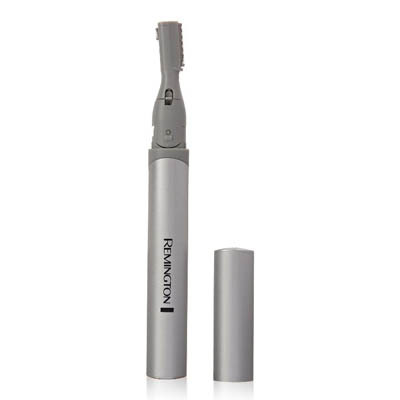 If you’re an individual that is proactive about self-grooming then eyebrow trimmers are a must. It’s a tool that can improve and customize your look, which can make you feel better about your appearance. It’s a good idea to buy such a grooming product for yourself and learn how to use it properly. This is cheaper than going to a hair salon in order to pay for the job. You’ll find that the cost of the eyebrow trimmers will pay for itself relatively quickly. The cost of eyebrow trimmers is affordable, and that makes it a great product to buy as a present. You could buy it for a friend or family member that has a birthday. Alternatively, if the individual needs one they would be happy to find it in their stocking on Christmas. When buying eyebrow trimmers for an individual that has not owned a pair, then you can get away with buying a budget one. On the other hand, if the individual already owns eyebrow trimmers, then you could upgrade them by investing in a premium model. As you’ll see from our list there is a range of price categories that you can make a selection from. You need to look at the features list to decide between the different eyebrow trimmers. Each eyebrow trimmer has a unique set of features, and there might be one out there that matches your requirements specifically. Furthermore, some eyebrow trimmers could have features unique in the marketplace not found elsewhere. Ideally, the eyebrow trimmer accessories included in the package are comprehensive. The more accessories you have to play around with the better the end result will be. At a minimum, expect a comb to be included so that you have control over the depth of the trimming. We all have different eyebrows, and the guide combs ensure you’re able to achieve the right trim. Other accessories you should look out for is a soft pouch where you can store the main unit and any other accessories that come with it. This is a particularly useful addition if you need to travel with your eyebrow trimmer and require a way of storing it. One of the more important buying considerations that you can make is the price. You should buy something that is within your price range. You’ll notice that some budget eyebrow trimmers can compete with models that have a higher price point. In this guide, we have segmented the different top eyebrow trimmers into 3 different price categories. This allows you to look at your budget and navigate to the eyebrow trimmers that you can afford to buy. 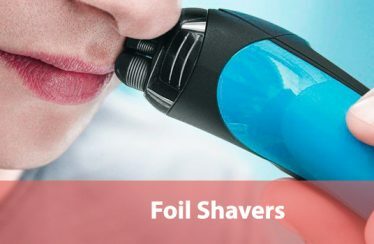 The main purpose of your trimmers may be the eyebrows, but there are plenty of other uses such a product could have. For example, you could buy one with different attachments for the nose and ears. This allows you to get more out of your purchase by having more use for it. If you buy an eyebrow trimmer with only a single function, then you’ll need to buy additional trimmers to complete the other jobs. That is an additional cost that you should avoid where possible. Ideally, the eyebrow trimmers should be waterproof so that you can use them without the worry of water damaging the unit. Also, you may wish to use the trimmer in the shower, which means having a waterproof design is a must. You’ll find that in our guide of the best eyebrow trimmers a number of waterproof designs are offered. However, not all of them are implemented equally. Some might only allow for the head of the body to be dipped in water, but putting the entire unit will cause damage. Some trimmers have features that allow them to be washed easily. You simply need to run them under water and that allows the blades and head to be cleaned. These maintenance friendly designs is a key factor you should keep an eye out for if you hate maintenance tasks.